29 state bodies, agencies and services come together to answer questions and provide answers to small business owners, managers and entrepreneurs. Focus on access to finance for SME’S. Limerick, Ireland, 25th September Over 200 small-business owners, managers and those interested in starting their own business today (Tuesday) attended a one-stop-shop event for SMEs, Taking Care of Business, in The Radisson Blu Hotel and Spa on the Ennis Road, Limerick. 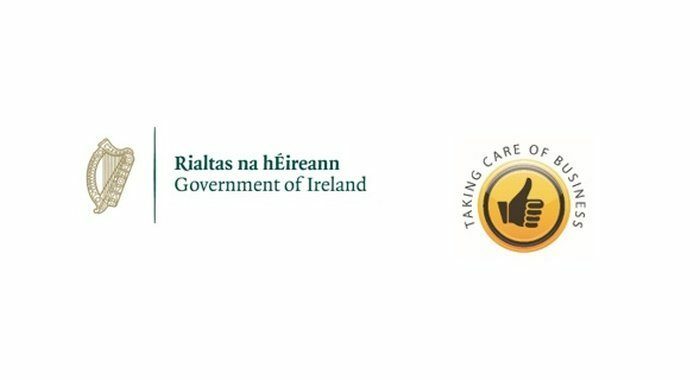 This free half-day event was an initiative of the Government of Ireland and organised by the Department of Business, Enterprise and Innovation – in conjunction with the Health and Safety Authority and the Food Safety Authority of Ireland – to provide people thinking of starting a business, and existing entrepreneurs, with the information they need from across the public sector. Taking Care of Business brought together 29 state and public-sector bodies, agencies and services in two strands, with presentations in one area and information stands in a separate area. Nearly 2,500 people have attended events such as this since 2013 to learn about key regulatory requirements and assistance available to help entrepreneurs develop their businesses. Giving the keynote speech at the event, the Minister of State for Trade, Employment, Business, EU Digital Single Market and Data Protection, Pat Breen, T.D., said “I believe that Taking Care of Business is a further demonstration of our commitment to reach out to the business community, and to promote awareness of the full range of supports available to the SME sector, start-ups and entrepreneurs. It is also a sign of our commitment to regional development. A number of representative bodies from industry supported the event and were available to talk to attendees on the day. The three sessions of presentations in Taking Care of Business were chaired by Helen Downes, Chief Executive of Shannon Chamber, Frank Murray, Managing Partner of The Linkage-Partnership and Mike Cantwell CEO of Innovate Limerick.